Wood Shelving Solutions is locally owned and operated serving Raleigh, Durham, Chapel Hill, Wake Forest, and all of central North Carolina. Get Organized at a fraction of the typical cost with ALL NATURAL SOLID WOOD shelving in your Closets, Pantry, Laundry Room, and Garage! Let us transform your closets into efficient, functional, beautiful, and organized spaces with All Natural Solid Wood Shelving. My passion is helping others organize their homes and lives to create calm in our busy world. Improve your physical space and time management systems! Carolina Closets Plus was founded in 1985 and serves central NC. We design, give our clients 3D CAD drawings, manufacture in house and install ourselves. Our work is "detail perfection" that begins with your need for a better organized closet, pantry, garage, home office, murphy bed, custom cabinets, entertainments centers and more. We are passionate about the storage business and would love to share our knowledge with you. We have been in the closet organization business longer than anyone in the area and Carolina Closets President, Mike Hoffer, has lived in Chapel Hill since he was young. We’ve been recognized for our service and design over the years and were recently selected to be the organization experts for the current and future seasons for HGTV’s “Love It Or List It” series. Since we’re not part of a franchise group, we pride ourselves on being able to think “outside the box”. We specialize in creating unique spaces for any area of the house including closets, home offices, laundry rooms, pantries and entertainment areas. We design and manufacture everything in our shop specific to your job and there is never a delay on repairing a damaged part or making a change during installation. 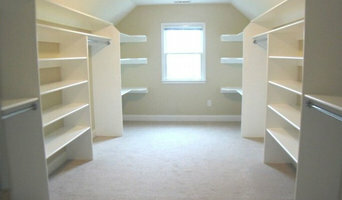 Carolina Closets Plus prides itself on our attention to detail, perfection and a team approach. If you can imagine it, we can make it! At Closets by Design we work to simplify your life. 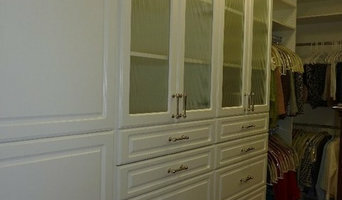 We design, build and install custom closets, garage cabinets, home offices, laundries, pantries, much more. With a wide selection of finishes, accessories and hardware, you will get the customized look you have always dreamed of. 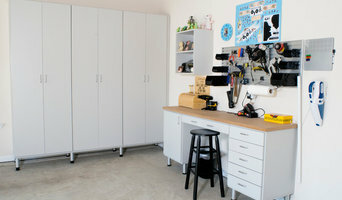 Closet Factory Raleigh promises a storage solution built around you. Our expert designers, manufacturers and installers have been custom organizing homes throughout North Carolina with one of a kind closets, home offices, entertainment centers, garages, wall beds, mudrooms and more since 2006. Owners Sue and Mike Pail, both with engineering degrees and a focus on providing the best client experience possible, lead their team with a focus on quality, client care, employee care and using locally sourced raw materials whenever possible. Our goal, from the simplest space to the most complicated design challenge, is to create a custom organization solution that is 100% tailored to your individual needs and desires. During your complimentary in-home consultation, your personal design expert will listen carefully to what you want. We take the time to ask for details about your storage needs, taking careful measurements of your space. We count every shoe, handbag, scarf and piece of jewelry to ensure that your new closet accommodates all your needs. Our goal is to give your life more order, more control. Your Design Consultant will create a design in our state of the art 3D-rendering CAD system so that you can see first-hand exactly what your project will look like. After your approval, this design is sent to our Computer Aided Manufacturing equipment, located in Garner, where your project is custom-created with extreme precision, ready to be installed by our full-time employee installation technicians. This level of full control over design, manufacturing, installation and material/ hardware procurement allows us to easily offer the industry's best lifetime guarantee. Please consider visiting our Factory and Showroom/Design Center, located in Garner, NC to see first hand the level of care and precision that goes into every project on which we work. Carol was born and raised in Sao Paulo, Brazil, where she purchased a boutique women’s clothing store at the young age of 17. Managing a retail store in the world’s 11th largest city with a population of over 20 million people is no easy task, as overcrowding can be a huge issue to overcome. Carol had to learn how to be extremely organized in order to maximize space and maintain a healthy business. Her experience as a small business owner in this bustling city is where she fell in love with all things organization, and she continued her fashion education by becoming an internationally certified image consultant. After moving to the United States, Carol merged these two passions into one business; Carol Closet, the Triangles leading Professional Organization and Image Consulting Firm. Realizing she had unique experience organizing homes much smaller than the average American home, she knew she could have a great impact on peoples lives. Carol truly understands the importance of organizing in a way that makes sense for each client. She changes lives by helping clients discover how much they really own and what they truly enjoy using on a daily basis. Everybody should be able to relax at home, become more productive at work, and enjoy the zen that comes along with living an organized lifestyle. Your storage problem is unique. And no closet company is better fit to help you organize your life than Closet Factory. Where every closet system is custom. Made to order. Your order. It’s the reason we’ve become the authority in customized storage solutions. Our Closet Factory closet systems are not your typical closet organizers. They are designed just for you, your space, your wardrobe, your needs, and your budget. We listen carefully when you tell us what you want. And only then do we create a closet design. One that will fit your needs and space perfectly. Although we take our organizing work very seriously, the name Neat Freak™ is meant to be a bit tongue in cheek. We fully recognize that our homes, offices, cars and surroundings can’t always be perfectly orderly. However, we do believe that putting customized organizational systems into place can free up your time, space and energy to do the things that are truly important to you. JewelryWe also believe that organization is achieved through determining what you really need and desire to live with, and letting the rest go. While working with clients, we often ask the tough questions about your “stuff” and help you determine what you want to surround yourself with. We won’t force you to get rid of anything. But we will challenge you to honor and respect the things you want to keep. Because, really, what’s the value in keeping treasures if they’re forever tucked in a box in the attic? Inviting someone into your personal space to help de-clutter and create new systems may feel uncomfortable or just downright strange. And we totally get that! We think it’s important to find an organizer you’re comfortable with, can trust completely, and actually enjoy spending time with! We offer a consultation to give us an opportunity to meet, discuss goals and make sure we’re the right fit for your project. Finally, we adhere to the Code of Ethics of the National Association of Professional Organizers and all client information is kept strictly confidential. For more than three decades, we’ve been creating closet organizers and custom storage solutions for people like you. We’ve helped them reimagine spaces—discover hidden potential—and most of all, find balance. Cary Farrell began working as a professional organizer in 2000, but she has been organizing long before that. She raised and home schooled five wonderful children. In the midst of this potential chaos, Cary learned to manage the demands that home, family, home schooling and a business bring. She has lived daily with the process she delivers to her clients. Cary loves the challenge of discovering each client's unique organizing style so the systems she sets in place will be easy to maintain. She enjoys watching a "Welcome home" or " functional office" appear from the clutter and seeing the client's thrill at creating the home or office that they can enjoy! Recognizing that a client's home or office space is a highly emotional place, Cary uses a unique approach that identifies the purpose of each space by allocating "prime real estate" to the items used on a daily or weekly basis. With this purpose in mind, the client has the comfort and security to attain and manage a Clutter Free Welcome Home environment. Cary has organized all ages, all kinds of homes, small businesses, minivans, and garages. Her goals are to bring creative ideas to each client's needs and to work with the client until they attain a Clutter Free Welcome Home! Cary is here to: Give you ideas and guidance to make decisions Cheer you on and be your coach Walk you through the process Keep you accountable to get the job done Create a system to produce a Welcome Home The process of de-cluttering can be overwhelming. Cary brings a tireless energy and enthusiasm to create your Welcome Home in a fraction of the time it would take you on your own. Welcome to So Organized Solutions - your hub for a more simplified and organized life. So Organized Solutions is a professional organization company that helps individuals and families organize their spaces in simple, collaborative ways that ultimately improve their quality of life. Having a home that's organized is proven to lower stress levels, creates a sense of calm and saves you precious time. I started So Organized Solutions because I love working with people to implement creative solutions that work for them. I know I have done my job well when I can transfer organizational skills that give my clients more time to enjoy every space in their home. An organized home means less stress and more time for YOU. I invite you to learn more about me and how working together to organize your spaces could help save you time! Want the aesthetics AND the function of your home to match your lifestyle? Styles of Sorts (SOS) offers a fresh perspective on the spaces you see and use every day. With careful attention to your needs, combined with creative solutions, we will work together to design an organized space that is unique to your needs and lifestyle! Before hiring a professional organizer, consider exactly what you need. Have you just moved into a Creedmoor, NC home and have no idea where to put everything? You may want to consider an organizer who specializes in room-by-room space planning or estate organization. Perhaps you’re faced with a tiny closet and an overflowing wardrobe. In that case find a professional who focuses on closets to help you get back on track. Also consider the types of objects that need organization. Are they items like books, family photos, files or collections? You’ll want a professional organizer who has experience designing custom systems with Creedmoor, NC companies that will best fit your needs. Find a professional closet and home organizer on Houzz. 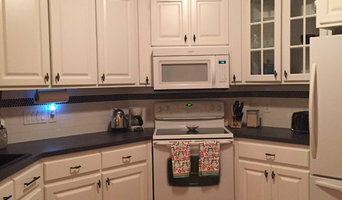 Narrow your search in the Professionals section on Houzz to Creedmoor, NC closets and home organization.